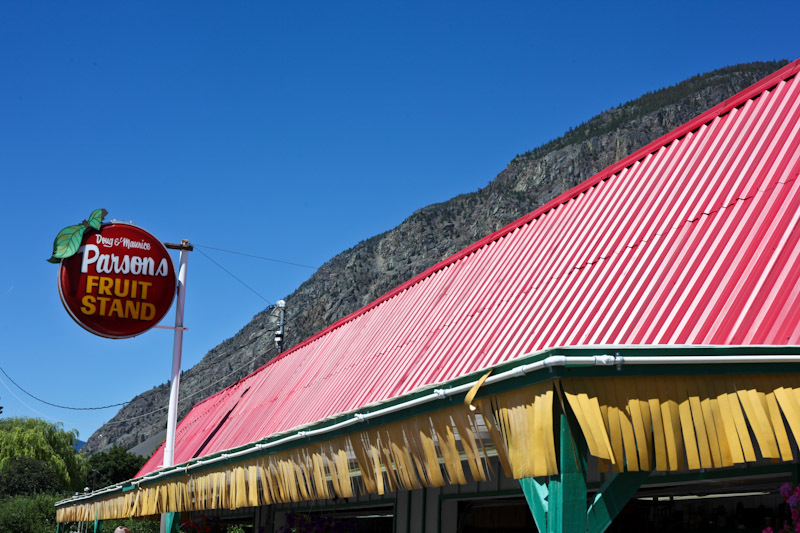 Parsons Farm Market is a 4th generation family farm in Keremeos, British Columbia, Canada. 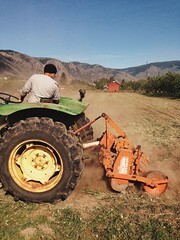 The Parsons family have been farming in the Similkameen Valley since 1908 – making Parsons one of the oldest family-owned farms in the valley. 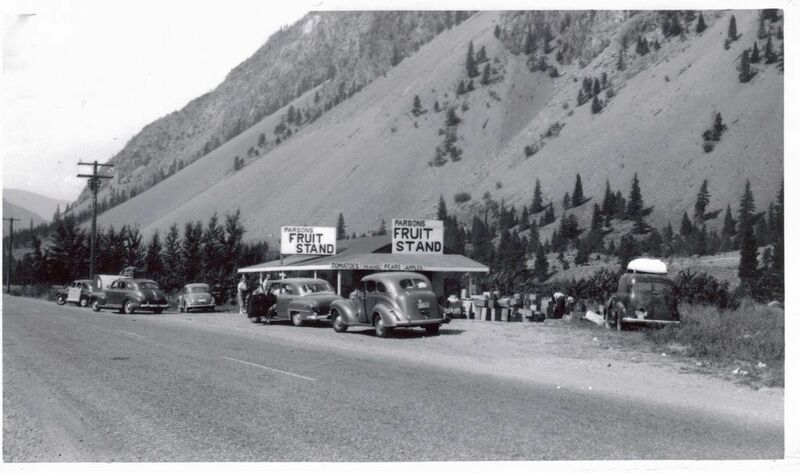 Parsons was also a pioneer in setting up one of the first fruit stands along the Similkameen, a region now known as the ‘fruit stand capital of Canada’. Today, Quentin Parsons is the fourth generation to operate the farm, having taken over from his Aunt Marilyn and Uncle Maurice in 2008. 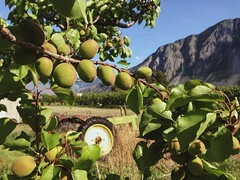 They are known for highest-quality fresh tree fruits, squash & gourds, heirloom vegetables – all are grown with organic inputs – and unique products made from their farm crop. Look for the classic red roof & Parsons sign on the north side of the highway! ** For information on contacting us, market hours & location, check out our Visiting the Market page. Bought 100 lbs canning tomatoes which made 41 quarts. 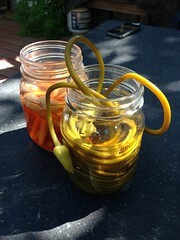 Thanks Quentin, they are gorgeous! Myself as well as my dad trucked through here from the 30’S till last year and Parson was always the go to stop while coming through in the trucks or on holidays. Always high quality and friendly service that never seems to fade after all these years !! Hi, we chatted yesterday about pies and trying to find a recipe for pumpkin pie that doesn’t include evaporated milk. Found one! Also, we made a tart with the peach, vanilla and bourbon jam!! Awesome. Quentin Parsons, is that you? 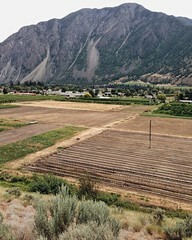 I’m Abdul, the Mexican dude who traveled with fellow Mexican Diana (Nanush) to the Okanagan Valley in 2002. We rode in your car. In your trunk you had an icebox full of beer, tamarind and percussive instruments that you shared with us. We camped out in the woods and played drums all night with a bunch of hippies that we met right there. I played a wooden frog, your frog! You also had shakers and djembes and all kinds of drums! You took me to the airport in October 2002, on my way back to Mexico. Is that you? Greetings from Mexico!